Our Builder Appointment Setting email template is customized for each member of your team, complete with their contact information and photo, as well as a link to their personal scheduler. This is a great tool to make the appointment setting process simple for your clients with consistent branding for your entire sales team. We want to help make the appointment scheduling process simple and hassle free for your leads and customers. With our Appointment Setting Emails, we will set up an individual email template for each of your employees within your CRM that allows them to easily schedule appointments via a link within the email that connects to their calendar. 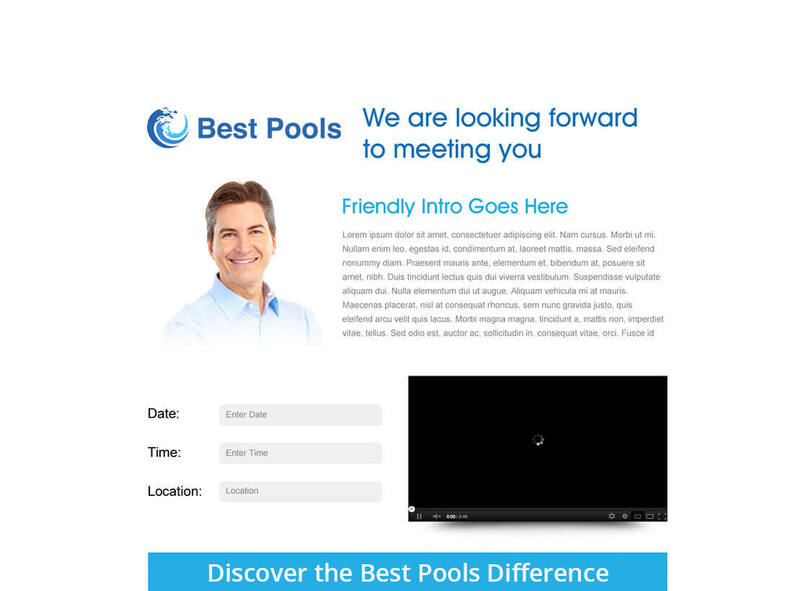 Our Appointment Setting Emails works best for any pool construction, service and retail company owners looking to manage their appointment setting capabilities. CRM with marketing automation capabilities, such as SharpSpring, HubSpot or Infusionsoft, as well as a scheduling system, such as Acuity or Schedulista.